This handheld bug catcher is easy on both you and multi-legged or winged insects. Its 25-inch handle keeps any such critter at arm’s length. 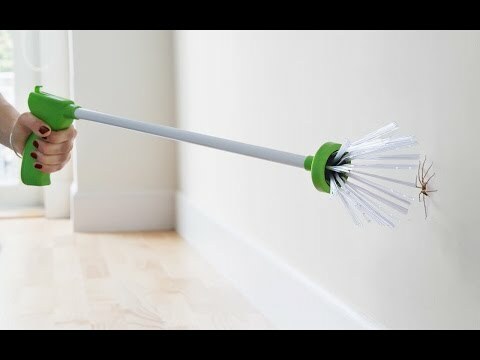 Squeeze and release the handle to surround and trap it—soft interior bristles won’t harm the bug, while heavier outer ones help keep it inside. Release the handle to set the bug free. Dimensions: 26" x 5.5" x 2.5"
My mom has 1 of these and I just loved it as I despise bugs in the house. So glad I now have 1 of my own! I even bought 1 for our condo up north.